Tori's Pretty Things: Tori's Pretty Life - Weekend in Washington, D.C.
Tori's Pretty Life - Weekend in Washington, D.C. Happy Saturday :) What's your weekend full of? B and I are hosting our first visitors for the long holiday weekend! Woo! They had to jump through some serious last-minute passport hoops to make it here. So I'm doubly thankful that they made the trek from the Northeast to our Canadian neck of the woods :). I'll share more about our adventures next week, though. For now, let's talk about this past week in my pretty life. I already told you about the delicious noms from our trip to D.C. yesterday, but I figured a more in-depth share was in order. We made a valid attempt and did squeeze in a quick walk to see the back side of the White House. But after the hour journey from the airport to the city and an even later dinner, we decided to save the rest of our energy for the next day. Albert Einstein Memorial - Washington, D.C. So we started Friday bright and early with our Brunch at Edgar. Then my older brother met us at our hotel to let the tourist traversing begin! 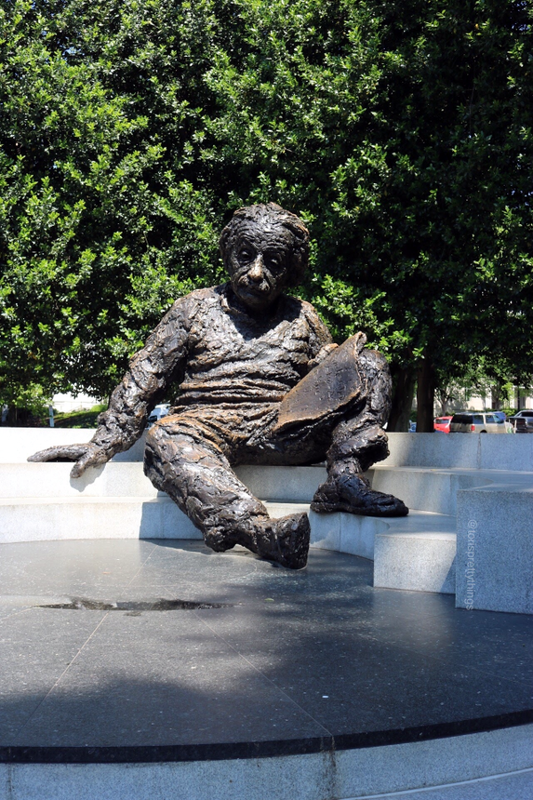 Our first stop was the Lincoln Memorial but we were met with a happy little surprise when we passed Mr. Einstein on the way. You know how some statues look nothing like the person they're trying to replicate? Well, I can't get over how well-done and life-like this memorial is! I know it's hard to tell in this photo but the monument is massive! As three grown adults, we were able to sit on his lap as if we were small children being read to. 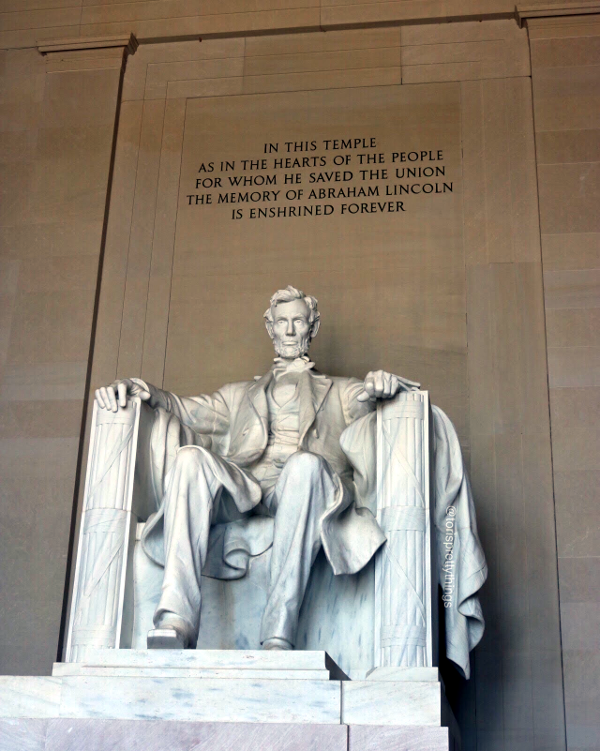 This quick little memorial is a must-see stop on your next D.C. tour :). From there, we walked further down the mall to our good ole friend, Honest Abe. I've seen The Lincoln Memorial before. I'm sure I'll see it again. It's always crowded, no matter what day of the week. But I just love the beauty. The statue is beautiful. The message and surrounding memorial are even more so. I'm so glad we got the chance to stop by. 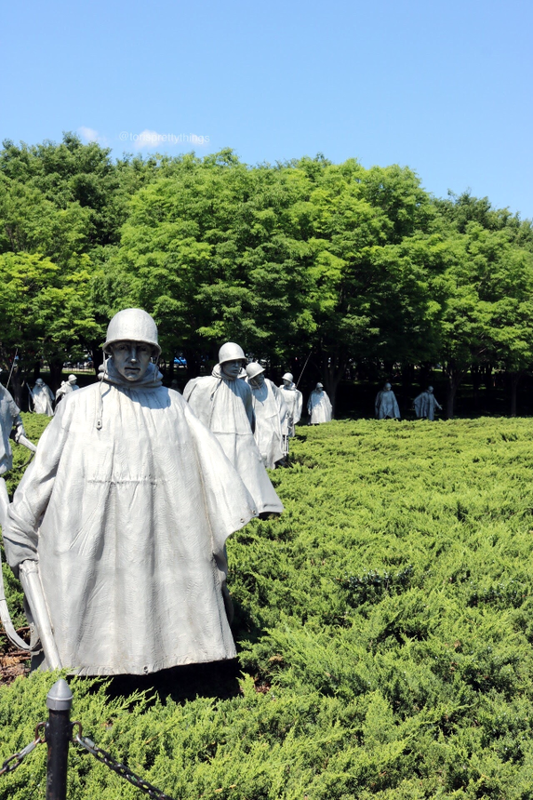 The Korean War Memorial - Washington, D.C.
From there, we needed to choose - Vietnam memorial or Korean war memorial? I saw the first a couple of times so we decided on the latter. Wow. Just wow. What a moving memorial! I'm no art major but even I could appreciate the detail put into the placement and layout of these war-worn soldiers trekking through the terrain. I would highly recommend taking the stroll through this memorial on your next D.C. visit. Afterward, we continued down the mall to quickly pay homage to the WWII memorial and take a brief look at the Washington Monument. The monument is currently closed to the public so we stood on the street, took in the classic view, and off we went to eat lunch. John L. "Jack" Swigert, Jr. Statue in The Capitol Building - Washington, D.C.
We then tried to catch a tour of The Capitol Building. Sadly, we missed the last full building tour of the day :(. 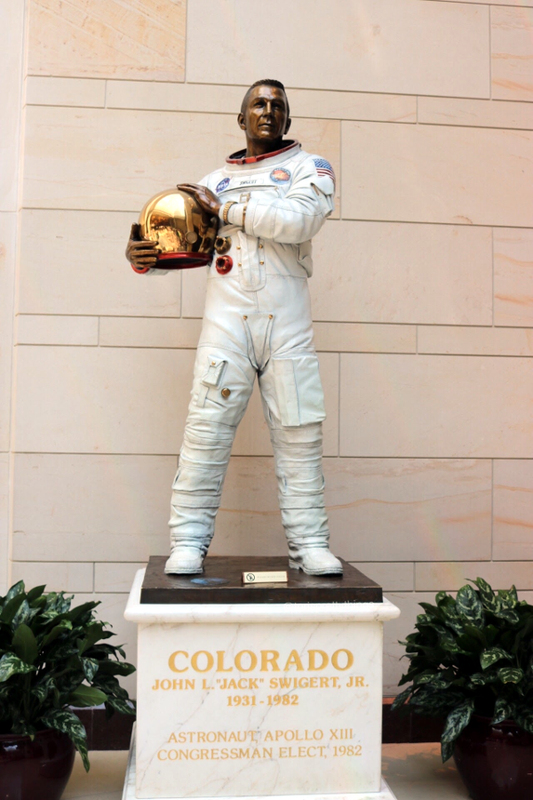 Thankfully, we were still able to take in all of the statues that lined the visitor center (like the beautiful Colorado statue above!) and spend a few minutes taking photos under the Capitol dome. 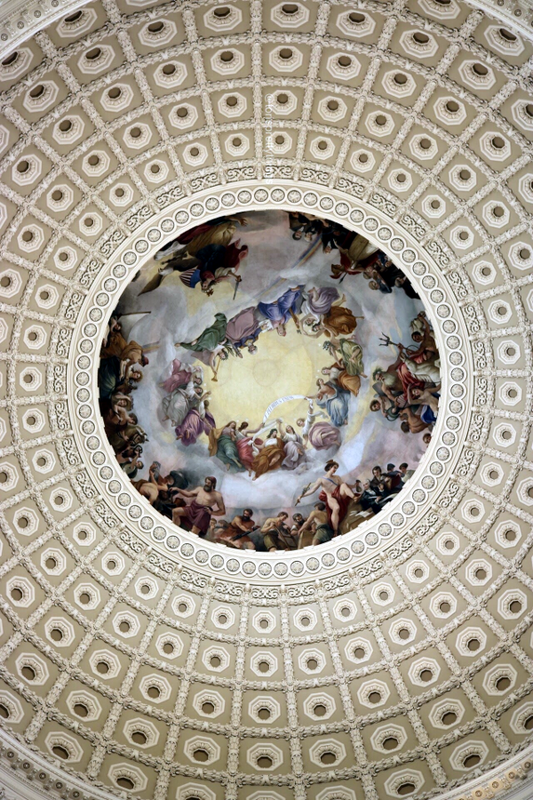 Inside of the Capitol Building dome, The Apotheosis of Washington - Washington, D.C. The fates were on our side because just as we finished at The Capitol Building, a very kind guide pointed us to the underground tunnel connecting the Library of Congress. We dashed, with just 10 minutes until the LoC doors closed, and made it in time! The Library of Congress - Washington, D.C.
We enjoyed a few of the exhibits in each wing before peeking into the actual library from above. Similar to the main branch of the NYPL, anyone age 16 and up can use the books but you can't check a book out. 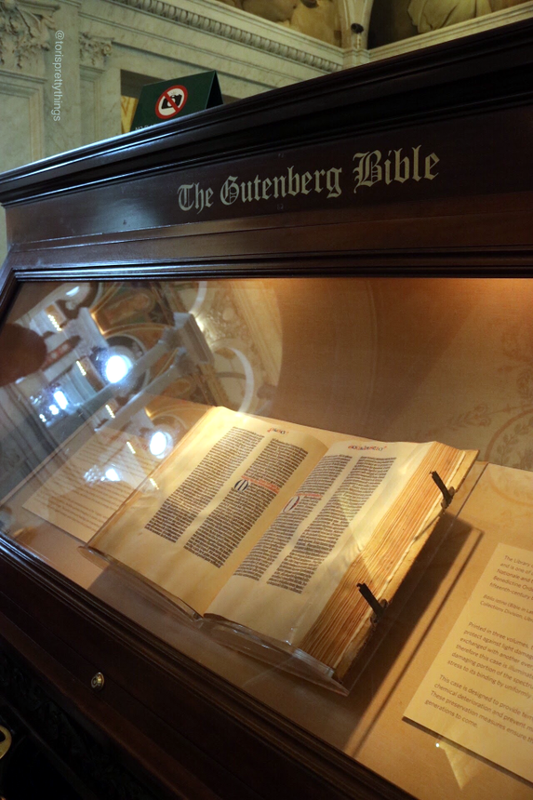 The Gutenberg Bible in The Library of Congress - Washington, D.C.
We also got to enjoy a major part of history - the Gutenberg Bible! Putting the religious part aside, it was really cool to see one of the oldest pieces of existing printed materials. 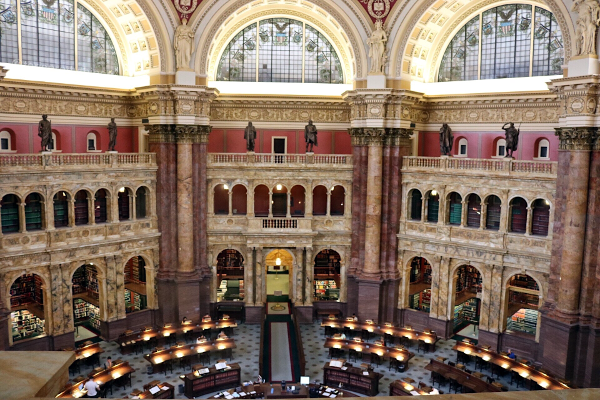 The Library of Congress as a whole is truly a gem that I wish we spent more time in. This is another must-see to add to your D.C. adventure list! From there, we parted ways with my brother for the day so he could get back to his family. B and I grabbed dinner back at Edgar and then hopped on the Metro, heading out to the 'burbs for our main weekend purpose - my nephew's Baptism. The rest of our weekend was super chill and full of quality family time. 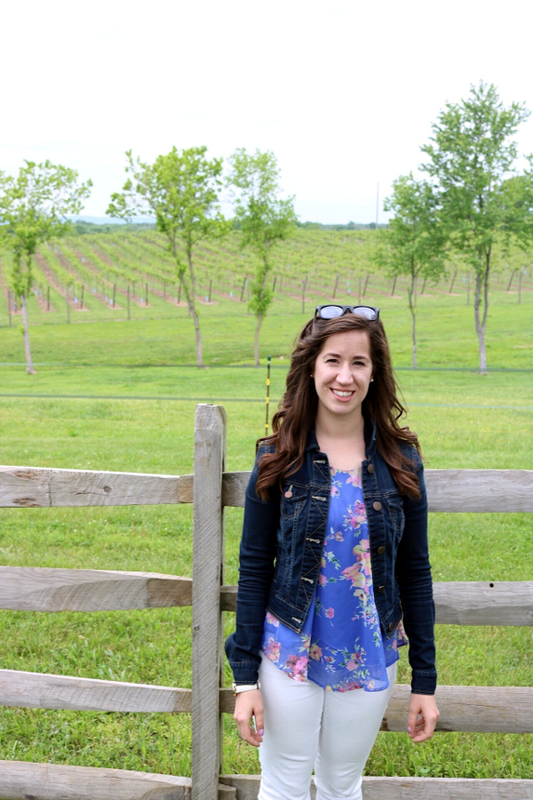 We spent most of Saturday at The Winery at Bull Run. 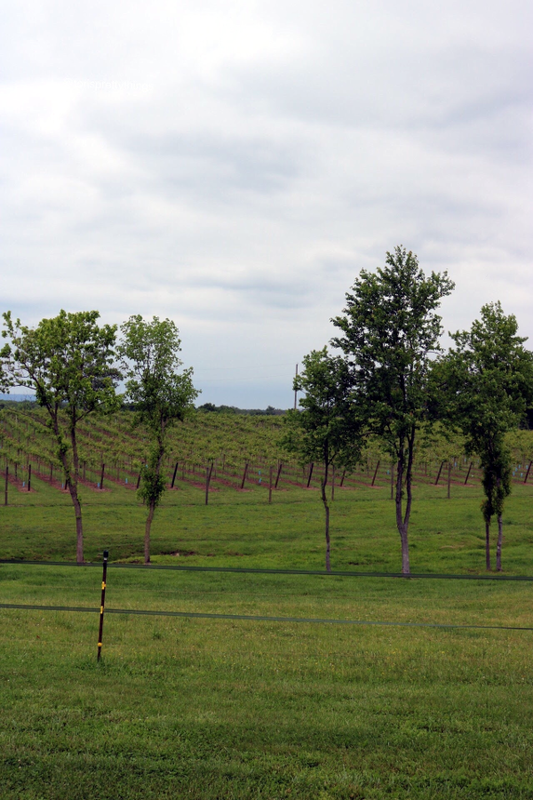 I really don't drink but I've always loved the idea of getting some fresh air and perusing a vineyard. So I would absolutely call this first winery experience a success! Sunday was the big day for our little buddy's Baptism! While I choose to put my life out here on the interwebs, I don't want to assume the same for my Fam. So I'd love to share more detail but I'm going to totally respect personal privacy :). 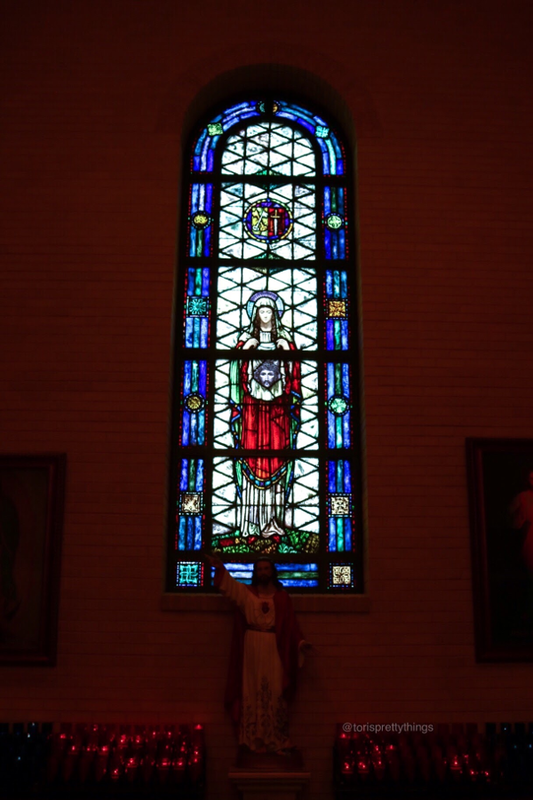 What I will say is that the church was beautiful and it was a nice ceremony. From there, we spent a bit more family time before hopping a flight back to Toronto. All in all, B and I loved our little getaway and it was so nice to squeeze in all of that family time. Now that I live so far away, those types of visits only happen once or twice a year. So I have a heart full of love and happiness from those few days away :).